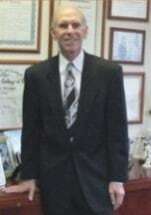 Burton H. Schwartz founded Schwartz Law Firm in July 1972, with the intent on being a sole practitioner specializing in Tax, Corporate, and Business law mainly to physicians. To meet client's needs, the practice expanded to include all areas of law including estate planning, retirement plans, criminal, corporate, real estate, bankruptcy, etc. Mr. Schwartz graduated from Wayne State University with a Bachelor of Science degree in Business Administration Accounting. He received his law degree from the Detroit College of Law. Following law school, Mr. Schwartz joined the Internal Revenue Service as an Internal Revenue Agent. Mr. Schwartz served as a Commissioner on the State Officer's Compensation Commission, a seven-member committee which determines the salaries of the Governor, Lt. Governor, judges, and senators, from 1988-1992 on appointment from then Governor James Blanchard. From 1990-92 he served as the Chairman of that Commission. He also served on the Metropolitan Growth and Development Corporation on appointment by County Executive William Lucas.